The Burner EBP Fin is a floating short blade swim fin that mimics race-day cadence while building lean muscle. Burner - The perfect fins for training at race cadence. The shorter fin-blade provides just the right amount of propulsion to hone in on the perfect stroke. Shorter cadence kicks help build fast twitch muscle fibers throughout the leg, while an ergonomic foot pocket allows for decreased levels of tendon strain with efficient strength building for the ankle. EBP - Elevated Body Position: Constructed of ultra-soft high buoyancy rubber the swim fin helps maintain proper body position while training, allowing for race day muscle development and simulated race pace conditions. Wall Gripper Footpad - Keeps the foot anchored during flip turns and push-offs. I have only used these twice but they are a lot of fun. They fit great and float so your legs can kick strong. Can’t wait to play with them again soon. I love my fins! They feel good & work great. So happy that I bought this particular brand. I'm enjoying my Burner fins very much! Q: I'm a size 14; do you make XXL in these fins (Burner EBP)? A: Please see the third "tab" beneath the product image marked "size chart." 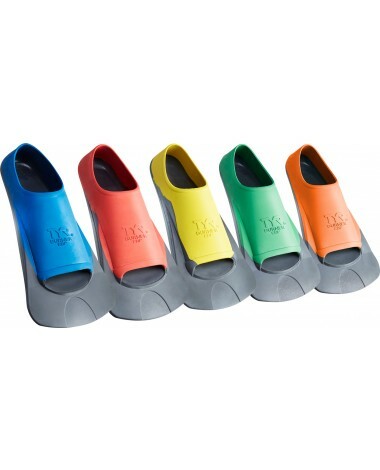 Flexfins range from 7.5" Long to 8.5 " Long. 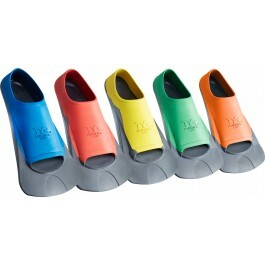 A: Color for the Burner EBP Fins is determined by sizing. The Burner EBP Fin is a Short Blade swim fin that mimics race-day cadence while building lean muscle. The shorter blade length provides just the right amount of propulsion to hone in on the perfect stroke, allowing for shorter cadence kicks to help build fast twitch muscle fibers and enhance speed.